One really has to wonder just how Aardman does it. Animation is always a painstaking process, and that’s doubly true for stop-motion. Yet somehow, Aardman makes it all look effortless. This is true even for the awkwardly-titled Shaun the Sheep Movie, which in many ways couldn’t be simpler, yet the sheer craftsmanship behind it, as well as Aardman’s sense of humor, turns it into something great. 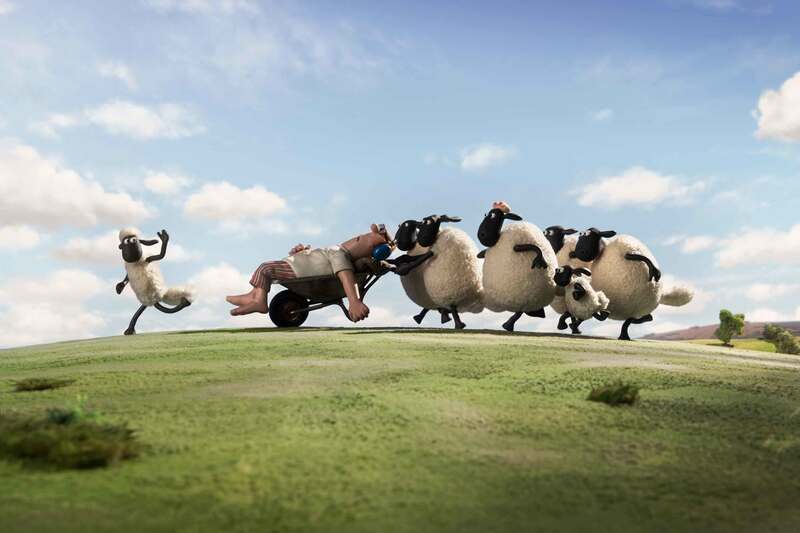 Shaun the Sheep Movie is based on the the television series of the same name (minus the “Movie” part), it itself a quasi-spinoff of Wallace & Gromit (a younger version of Shaun appeared in A Close Shave, but the Shaun seen in the series and this movie seems to have no canonical connection). Like the series, the movie focuses on the titular Shaun and the rest of his flock of sheep, as well as Bitzer the dog, and the farmer who owns them (aptly named “The Farmer”). While the show usually sees the antics of Shaun and the rest of the animals during their ventures on the farm when the Farmer is away, the movie instead sees Shaun and the gang on a mission to rescue the Farmer, after one of their pranks goes awry and inadvertently sends the Farmer – sleeping inside of a trailer – to the big city, which ultimately results in him bumping his head and coming down with a case of amnesia. Shaun, Bitzer, and the rest of the gang’s journey to rescue their friend won’t be easy. Not only does the Farmer have no memory of his former self, but an over-zealous animal control worker is determined to capture any animals that might be running loose on the city, including Shaun and his friends. 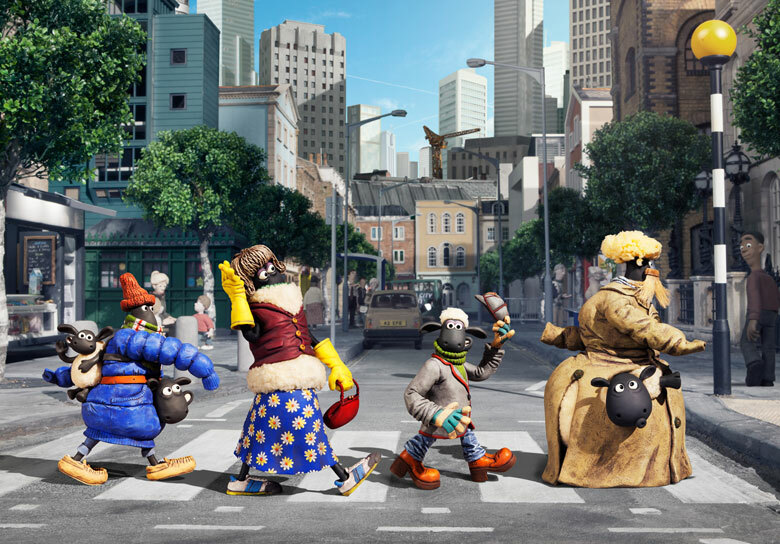 It may not sound like much, but Shaun the Sheep Movie quickly becomes something brilliant, due to how well it crafts its story and humor through animation alone. When I say “animation alone” I mean it. Much like the Shaun the Sheep series, there is no spoken dialogue in Shaun the Sheep Movie whatsoever. 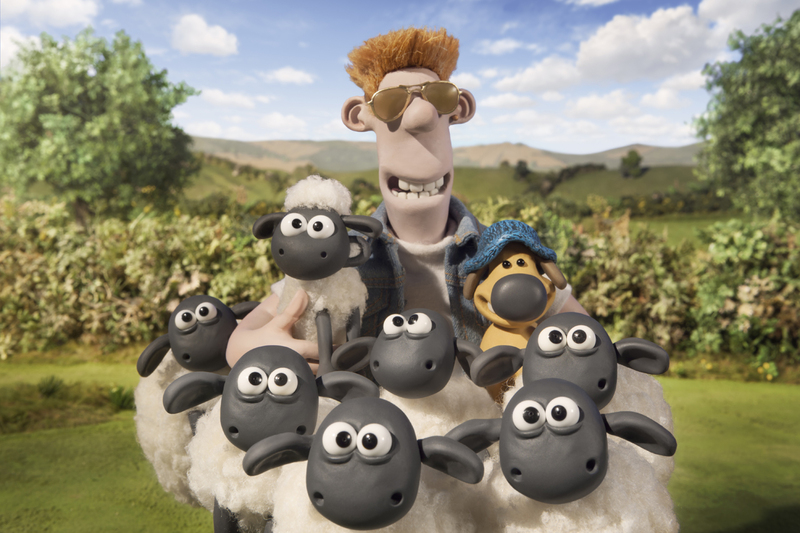 Shaun and his flock may baa, Bitzer barks and growls, and the humans might make the occasional grumble, laugh, burp or whistle, but no words are ever spoken in the film (aside from some of the background songs, which never really mesh with the rest of the film, unfortunately). Despite the absence of dialogue, Shaun the Sheep Movie still manages to make you care about the characters with some genuine heartfelt moments and story development. Nothing ever needs to be said. Shaun the Sheep Movie is also very funny, with non-stop sight gags and physical comedy, not to mention plenty of clever film references. You’d be hard pressed to find another kids movie that references Silence of the Lambs, Taxi Driver and Breaking Bad. It’s additionally a lovingly-animated film. It showcases Aardman’s brilliant ability to combine relatively simple character designs with extravagant movement. Like all of the best Aardman works, it will regularly leave you wondering how every scene was made. Shaun the Sheep Movie is simply a good time. It’s charming, funny, and smart. But it’s also sweet and sentimental when it wants to be. And it does it all without saying a word. It sounds pretty awesome, and the no spoken lines quirk makes it very intriguing. I will put it on the line-up of movies I need to watch before the Academy Awards.